Acquisition: The act of obtaining a property interest from another person. (Source: Accessing the Maine Coast). Action Planning: A planning process in which an individual, organization, or community identifies the specific actions that need to be taken to achieve a goal, who will complete each action, and on what timeline. Action planning is often undertaken in the context of strategic planning to guide the on-the-ground implementation of a strategic plan, but can also be used to achieve goals outline in a community visioning plan or similar document. Appropriation: The act of setting aside money for a specific purpose. Federal and state legislatures appropriate funds to government agencies, generally on an annual basis, to run government programs. For example, the Stan Mayfield Working Waterfront Grant Program is dependent on a recurring appropriation from the Florida Legislature. Bond Financing: A type of long-term borrowing that state and local governments frequently use to raise money, usually for public infrastructure projects. The money is raised by selling bonds to investors. In exchange, the government promises to repay investors, with interest, according to a specific schedule. Branding: The marketing practice of creating a name, symbol or design that identifies and differentiates a product (e.g., waterfront community) from other products. (Source: www.entrepreneur.com/marketing/branding/index.html). Building Code: A law or regulation setting forth standards for the construction, maintenance, occupancy, use, or appearance of buildings and dwelling units. (Source: Black’s Law Dictionary (9th ed. 2009)). Buildout Analysis: A projection of how much development would occur in a community if all available land was developed to the maximum extent allowed under the community’s zoning regulations. A buildout analysis is a tool to understand potential patterns of future growth and their consequences. Business Recruitment Plan: A plan, usually developed by local governments or economic development agencies, for recruiting businesses to a particular area. Business recruitment plans often include an inventory of existing businesses in the area, assessment of possible sites for business development, and a strategy for attracting new businesses to these sites. Coalition: A temporary alliance of individuals or organizations for joint or common action. Coalitions are often formed to pursue strategies (business or political) that will be to the advantage of the members of the group. For example, several rival businesses within the same industry may form a coalition to raise awareness of key issues or support/oppose proposed regulatory changes. Coastal Access Site Inventory: A comprehensive inventory of coastal access sites within a community, state, or region. An inventory can help waterfront communities identify existing resources, disseminate information about those resources to waterfront users, assess the adequacy of those resources, and prioritize actions to improve access (e.g., improve signage, repair walkway, purchase land). 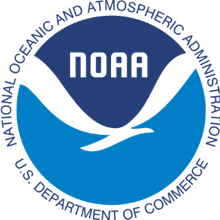 Coastal Zone Management Program: The National Coastal Zone Management Program is a voluntary partnership between the federal government and U.S. coastal and Great Lake states and territories (states) authorized by the Coastal Zone Management Act of 1972 to address national coastal issues. The Act provides the basis for protecting, restoring, and responsibly developing our nation’s diverse coastal communities and resources. (Source: OCRM Website). Community Asset Mapping/Inventory: A community asset map or inventory is a list of a community’s assets, including community-based service and advocacy organizations, religious institutions, public institutions, businesses, schools, locally owned real estate, and parks and public spaces where residents can socialize or just enjoy being outside. Developing an inventory of a community’s assets helps people understand the diversity of their community as well as what their friends and neighbors value and consider important to life in the community. (Source: Coastal and Waterfront Smart Growth). Compensation: Something (such as money) given or received as payment. In the land use context, often refers to a payment by the government for property it has taken under eminent domain (usually the property’s fair market value). Comprehensive Plan: An all-inclusive, long-range plan for the future growth of a community. The plan is designed to reflect community values and goals to guide policymakers regarding decisions about the physical development of the community. The plan describes land use patterns according to whether a given district or parcel will be devoted to residential, commercial, water dependent use, etc. Because they are usually visionary, non-binding documents, comprehensive plans must be implemented through zoning and local ordinances, capital investments, and programmatic initiatives. Conflict Resolution: Inclusive term for the variety of methods, including mediation and negotiation, that individuals, organizations, and communities use to facilitate peaceful resolution of social conflicts. Conservation Easement: An agreement between a landowner and a private land trust or government. The agreement limits certain uses on all or a portion of a property for conservation purposes while keeping the property in the landowner’s ownership and control. The agreement is usually tailored to the particular property and to the goals of the owner and conservation organization. It applies to present and future owners of the land. (Source: Accessing the Maine Coast). Covenant: Formal agreement or promise, usually written into a contract or deed, to do or not do a particular act. A land trust, for example, might place a covenant on land it purchased to require that a working waterfront business be maintained for a certain period of time. Mutual covenants among members of a homeowners association are promises to respect the rules of conduct or restrictions on use of property. For example, mutual covenants between a waterside condo owners may dictate rules about how residents or the public can use the condo wharf. Covenants which run with the land, such as permanent easement of access or restrictions on use, are binding on future title holders of the property. Current Use Taxation: A method of taxation that bases the value at which the land is taxed on its value as it is currently being used, rather than on its fair market value, that is, the estimated price at which the property would change hands between a willing buyer and a willing seller. (also referred to as Current Use Assessment or Present Use Taxation). Dedicated Revenue: Revenue set aside by law for a particular purpose or entity. For example, a local government may dedicate a portion of property tax revenues to a trust fund for waterfront enhancement projects. Deed Restriction: A limitation (especially in a deed) placed on the use or enjoyment of property. Similar to a restrictive covenant, which is a private agreement, usually in a deed or lease, that restricts the use or occupancy of real property, especially by specifying lot sizes, building lines, architectural styles, and the uses to which the property may be put. (Source: Black’s Law Dictionary). Design Standards: Guidelines regarding the aesthetics and architectural appearance of a building or improvement to property; the standards govern the alteration, construction, demolition, or relocation of a building or improvement. (Source: A Glossary of Zoning, Development and Planning Terms (Michael Davidson & Fay Dolnick, eds). This includes building and site design elements such as exterior modifications and additions, accessory buildings, fences, walls, landscaping, architectural styles, building materials, colors, right-of-way, easements, setbacks, scale, density and maintenance of character. Easement: An interest in land owned by another person, consisting in the right to use or control the land, or an area above or below it, for a specific limited purpose (such as to cross it for access to a public road). The land benefiting from an easement is called the dominant estate; the land burdened by an easement is called the servient estate. Unlike a lease or license, an easement may last forever, but it does not give the holder the right to possess, take from, improve, or sell the land. The primary recognized easements are (1) a right-of-way, (2) a right of entry for any purpose relating to the dominant estate, (3) a right to the support of land and buildings, (4) a right of light and air, (5) a right to water, (6) a right to do some act that would otherwise amount to a nuisance, and (7) a right to place or keep something on the servient estate. (Black’s Law Dictionary (9th ed. 2009)). Economic Development Entity: A governmental or quasi-governmental entity established to make investments or conduct activities for the benefit of particular areas targeted for redevelopment. Such entities can be formed on the local, state, regional, or national level. Eminent Domain: The power of a governmental entity to take private real estate for public use, with or without the permission of the owner upon payment of just compensation to the owner. The Fifth Amendment to the Constitution provides that “private property [may not] be taken for public use without just compensation.” The Fourteenth Amendment added the requirement of just compensation to state and local government takings. Eminent domain may be used for public uses such as waterfront land for parking lot, access ramp, pier and wharves, etc. Exaction: This refers to an action by a municipal government that requires a landowner, as a condition of a development approval, to provide a public benefit mitigating some harm caused by the development. This approach may require a land developer to dedicate an interest in land to mitigate the reduction of some public benefit that their development will cause or pay a fee to cover the cost of infrastructure needs created by the development. For an exaction to be imposed it must be logically connected and roughly proportional to the negative impact that it is being required to offset. (Source: Accessing the Maine Coast). Excise Tax: A tax imposed on the manufacture, sale, or use of goods (such as a cigarette tax), or on an occupation or activity (such as a license tax or an attorney occupation fee). (Source: Black’s Law Dictionary (9th Ed. 2009)). Force Field Analysis: A tool for systematically identifying and analyzing the various forces for or against a proposed change. Force Field Analysis frames problems in terms of “restraining forces” (factors/pressures that support the status quo) and “driving forces” (factors/pressures that support change in the desired direction), which may be people, resources, attitudes, regulations, values, desires, etc. Force Field Analysis helps planners implementing changes to identify “forces” or factors that must be addressed if change is to be successful. Foundation: A non-governmental entity, established as a nonprofit corporation or a charitable trust, whose principal purpose is to make financial grants to unrelated organizations, institutions, or individuals for scientific, educational, cultural, religious, or other charitable purposes. There are two types of foundations: private and public. Private foundations (e.g., Ford Foundation) obtain their money from a family, an individual, or a corporation. Public foundations, also known as public charities, obtain their money from a diversity of donors that may include individuals and governmental agencies. Grant: An award of financial assistance, the principal purpose of which is to transfer a thing of value from a federal agency to a recipient to carry out a public purpose of support or stimulation authorized by a law of the United States (see 31 U.S.C. 6101(3)). A grant is distinguished from a contract, which is used to acquire property or services for the federal government’s direct benefit or use. (Source: Grants.gov). Green Infrastructure: A suite of practices inclusive of both the existing natural environments as well as constructed systems that maintain or mimic natural processes that work together in an integrated network that benefits nature and people. These methods manage water resources while providing benefits such as improved water quality, reduced peak flow (flooding), and improved aesthetics. Such methods include land preservation as well as engineering approaches to maintain, restore, or create hydrologic functions that mimic natural processes. The term “green infrastructure” includes engineered systems (e.g., bioswales, green roofs, or permeable pavement) as well as preservation or enhancement of existing natural flood storage provided by wetlands, floodplains, and open space. Green infrastructure approaches are often aimed at managing stormwater and may be selected primarily to address a specific management issue, but often results in co-benefits. For example, practices designed to reduce flooding impacts by capturing, storing, and/or infiltrating precipitation will also have water quality benefits as sediments and nutrients are filtered out by these structures and/or ecosystems. Growth Management: The regulation of a community’s rate of growth through zoning ordinances, impact fees, and other measures. (Source: Black’s Law Dictionary). Harbor Management Plans: Municipal harbor management plans are a means for communities to plan and manage uses in coastal waters to support waterfront land use plans and regulations. The goals are to integrate the community’s land and water use objectives, promote water dependent uses, minimize conflicts among competing users, coordinate multi-jurisdictional (state and municipal) decision-making, and protect coastal resources. Depending on the enabling authority, harbor management plans may cover just the water area and complement the community’s waterfront master plan or may include both the water and the adjacent land area. (Source: Coastal & Waterfront Smart Growth). Historic Preservation: A general term that refers to any effort to preserve, conserve, and protect buildings, objects, landscapes, and other artifacts of historical significance. Historic preservation objectives can be achieved through, among others, state and/or federal designation of historic sites and districts, local ordinances controlling the form, integrity, and materials of historic properties, and acquisition programs. Historic Resources Survey: A systematic effort to identify, record, and evaluate historic properties within a community, neighborhood, project area, or region. Surveys assist in the identification of resources worthy of designation on an official local, state, or federal Register of Historic Places and/or potential eligible for tax benefits or incentives. Such surveys also provide information to inform planning decisions, prioritize preservation projects, and increase understanding of an area or community’s history. Impact Fees: A fee imposed on property developers by municipalities for the new infrastructure that must be built or increased due to new property development. These fees are designed to offset the impact of additional development and residents on the municipality’s infrastructure and services, which include the city’s water and sewer network, police and fire protection services, schools and libraries. (Source: Investopedia). Impact fees, however, can only be used to cover the percentage of the cost that is attributable to the new development. Incentive Zoning: A system by which zoning incentives are provided to developers on the condition that specific physical, social, or cultural benefits are provided to the community. Incentives include increases in the permissible number of residential units or gross square footage of development, or waivers of the height, setback, use, or area provisions of the zoning ordinance. The benefits to be provided in exchange may include waterfront access, waterfront recreational facilities, open space, infrastructures, or cash in lieu thereof. (Source: Accessing the Maine Coast). Income Tax: A tax on an individual’s net income, after deductions for various expenses and payments such as charitable gifts, calculated on a formula which takes into consideration whether it is paid jointly by a married couple, the number of dependents of the taxpayers, special breaks for ages over 65, disabilities, and other factors. Federal income taxes have been collected since 1913 when they were authorized by the 16th Amendment to the Constitution. Most states also assess income taxes, but at a substantially lower rate than that of the federal government. (Source: Accessing the Maine Coast). Initiative: An electoral process by which a percentage of voters can propose legislation and compel a vote on it by the legislature or by the full electorate. Recognized in some state constitutions, the initiative is one of the few methods of direct democracy in an otherwise representative system (e.g., Ballot Initiative). (Source: Black’s Law Dictionary). Lease: A written agreement in which the owner of property (either real estate or some object like a boat) allows use of the property for a specified period of time (term) for specific periodic payments (rent), and other terms and conditions. Leases of real property describe the premises (often by address); penalties for late payments, termination upon default of payment or breach of any significant conditions; increases in rent based on cost of living or some other standard; inclusion or exclusion of property taxes and insurance in rent; limitations on use (e.g., for a lobster pound only), charges for staying on beyond the term (holding over); any right to renew the lease for another period; and/or a requirement for payment of attorneys’ fees and costs in case of the need to enforce the lease (including eviction). (Source: Accessing the Maine Coast). Legal Tool Inventory: Systematic compilation of key legal authorities available to decision- and policy-makers to advance policy goals. Legislative Task Force: A group or committee, usually of experts or specialists, appointed by a legislature to analyze, investigate, or solve a specific problem within a set period of time. Liability Waiver: Usually refers to a legal document through which a person participating in a particular activity (e.g., renting a jet ski) acknowledges the risks involved. Businesses often use such waivers to shield themselves from liability if something goes wrong. Liability waivers, however, can also be provided by state law. All states, for instance, have some sort of legislation protecting landowners who hold their property open for free public recreational uses to encourage landowners to help meet public access needs. Litigation: A lawsuit. Legal action, including all proceedings therein. Contest in a court of law for the purpose of enforcing a right or seeking a remedy. (Source: Black’s Law Dictionary). Loan: A sum of money lent at interest. Loan Guarantee: A promise made by a person or entity to repay a debt if the borrower (debtor) should default on the loan. Marketing Study: The gathering and evaluation of data regarding consumers’ preference for products or services. This data is gathered through a combination of techniques which can include surveys, polls, and focus groups. Moratorium: A postponement or temporary suspension of some activity. Moratoria in the land use context are temporary, legislatively enacted periods during which a local government stops issuing a certain type of permit, such as a building permit. Moratoria are commonly used to temporarily freeze development to enable local governments to study an issue or formulate a policy response. Natural Resource Inventory: Comprehensive survey of natural resources and ecological features within a particular area. Natural resource inventories, when undertaken every five or ten years, often combine field observations with remote sensing data to monitor resource and land use changes and trends. Needs Assessment: A systematic process for determining and addressing a community’s or clientele’s needs. A needs assessment is an important part of any planning process, as it can be an effective tool to identify problems and determine appropriate interventions and solutions. Service organizations, for instance, often use needs assessments to develop and improve training programs and services provided. Overlay Zoning: An overlay district is a zoning technique that allows a jurisdiction to superimpose additional requirements over a basic use zoning district without disturbing the requirements of the basic use district. In the instance of conflicting requirements, the stricter of the conflicting requirements applies. (Source: NOAA Coastal and Waterfront Smart Growth). Partnerships: Formal associations of individuals, organizations or agencies resembling legal partnerships and usually involving close collaboration among parties having specified roles and responsibilities. Partnerships can help the public, non-profit, and private sectors pool organizational, financial, political, and other resources to achieve common goals and objectives. Police Power: A state’s 10th Amendment right, subject to due process and other limitations, to establish and enforce laws protecting the public’s health, safety, and general welfare, or to delegate this right to local governments. (Black’s Law Dictionary (9th Ed. 2009)). Private Zoning: The use of restrictive covenants in private agreements to restrict the use and occupancy of real property. Private zoning often covers such things as lot size, building lines, architectural specifications, and property uses. (Source: Black’s Law Dictionary (9th Ed. 2009). Property Tax: A tax levied on the owner of property (esp. real property), usually based on the property’s value. Local governments often impose property taxes to finance school districts, municipal projects, and the like. (Source: Black’s Law Dictionary (9th Ed. 2009)). Purchase of Development Rights: Involves payment by a private entity (such as a land trust) or a public entity (such as a town, city, or county) in exchange for an easement or covenant that limits future development on the identified property. Usually has a minimum required effective lifetime of twenty years, and is often designed to be permanent, reversible only by the court. (Source: Accessing the Maine Coast). Real Estate Disclosure: Generally refers to the legal requirement of sellers to disclose all known facts that materially affect the value of the real property and are not readily observable to the buyer. With respect to waterfront property, real estate disclosure requirements can inform potential buyers of unique aspects of coastal property rights, common coastal hazards, and community values. Real Estate Transfer Tax: A tax or fee typically imposed by state governments upon the sale or transfer of real property. The tax is often split between the buyer and seller, and the revenues can be dedicated or applied by the government to a variety of uses. Local governments sometimes impose an additional transfer tax to fund specific public goods such as open space or affordable housing. Repository: A collection of resources that can be accessed to retrieve information. For instance, a repository can be several databases of information tied together by a common search engine. Resilience: Narrowly defined, resilience is the capacity of an ecosystem to respond to a disturbance by resisting damage and recovering quickly; a broader and increasingly common definition, however, expands the definition to mean the capability of a human community or natural system to bounce back after a disturbance or turbulent change. Right-of-Way: The right to pass through property owned by another. A right-of-way may be established by contract, by longstanding usage, or by public authority (as with a highway). (Source: Black’s Law Dictionary). Sales Tax: A tax imposed on the sale of goods and services, usually measured as a percentage of their price. (Black’s Law Dictionary (9th ed. 2009)). Shoreland Zoning: A type of local zoning that focuses on managing the use and development of lands bordering waterbodies. In Maine and Wisconsin, municipalities are required by state law to adopt and enforce zoning ordinances regulating “shorelands.” In Maine, shoreland zoning refers to zoning ordinances that manage uses within 250 feet of great ponds, rivers, wetlands, and tidal waters. In Wisconsin, shorelands mean the area 1,000 feet from the high water mark of a lake, pond, or flowage, and 300 feet from a river or stream. Six Hats Exercise: A decision-making tool, developed by Edwared DeBono, used to look at decisions from a number of perspectives. Group members take turns wearing different “hats.” “White hats,” for instance, focus on the available data, whereas “black hats” look at all the negative aspects of a project. “Red hats” look at problems using intuition and emotion, important aspects of decision-making often dismissing in planning processes. A variant of this techniques involves analyzing problems from the point of view of different professions or customers. Smart Growth: Smart Growth is not a single tool, but a set of cohesive urban and regional planning principles that can be blended together and melded with unique local and regional conditions to achieve a better development pattern. Smart Growth is an approach to achieving communities that are socially, economically, and environmentally sustainable. (Source: American Planning Association, Policy on Smart Growth). Special Area Management Plan: Special Area Management Plans (SAMPs) are resource management plans and implementation programs developed to better manage specific geographic areas, such as an urban waterfront. SAMPs also supplement existing management programs to help address complex multi-jurisdictional coastal issues. (Source: NOAA Smart Growth for Coastal & Waterfront Communities). Special Assessment: The assessment of a tax on property that benefits in some important way from a public improvement. (Black’s Law Dictionary (9th Ed. 2009)). To finance the construction or improvement of a large public facility, municipalities may impose charges on property owners who benefit from that facility. Typical examples include road improvements, sidewalk construction, street lighting, and sewer extensions, but they might also partially finance municipal wharf projects and other major waterfront improvements. (Source: Accessing the Maine Coast). Special Purpose Political Subdivision: A quasi-governmental agency, generally created b y a state legislature, to manage a particular resource or geographic area or to advance a specific cause or solution. For example, the Middle Peninsula Public Access Authority was created by the Virginia General Assembly to address public access issues in the region. Special Taxing Districts: A geographic area, designated by petition or vote of the residents of that area, in which a particular service is provided exclusively to residents of the area. A special property tax or a special assessment fee pays for these services. Special taxing districts are common in Florida (e.g., Florida Inland Navigation District). Subsidy: A grant, usually made by the government, to any enterprise whose promotion is considered to be in the public interest. Although governments can sometimes make direct payments (such as cash grants), subsidies are usually indirect. They make take the form of research-and-development support, tax breaks, provision of raw materials at below-market prices, or low-interest loans or low-interest export credits guaranteed by a government agency. (Source: Black’s Law Dictionary). SWOT Analysis: SWOT (Strengths, Weaknesses, Opportunities, and Threats) Analysis is a strategic planning technique used to identify an organization’s or project’s strengths and weaknesses, as well as the available opportunities and the threats faced. Information generated during a SWOT analysis can help planners set achievable goals and objectives. Tax: A charge, usually monetary, imposed by the government on persons, entities, transactions, or property to yield public revenue. (Source: Black’s Law Dictionary (9th Ed. 2009)). Tax Abatement/Exemption: Tax abatement/exemption is a strategy to lower, restrict, or otherwise reduce the tax burden associated with a piece of property in exchange for the provision of a desired public good. Tax exemptions make the property owner “exempt” from part or all of the taxes related to the improvements upon a property for a fixed period of time. (Source: NOAA Smart Growth for Coastal and Waterfront Communities). Tax Deferral: Policy that allows a taxpayer to pay taxes on income or investment at a future date, instead of during the year or period in which they are incurred. Tax Incentives: A governmental enticement, through a tax benefit, to engage in a particular activity, such as the purchase of a home or the contribution of money or property to a qualified charity. (Source: Black’s Law Dictionary). Tax Increment Financing: Financing technique utilized by local governments for development projects which uses future gains in taxes to cover the costs of current improvements. Tax Increment Financing (TIF) allows local governments to use all or a portion of the taxes generated by new development within a designated TIF District to pay for improvement costs of that development. TIF is designed to work as follows: as development occurs in the TIF District, tax revenue increases, and the increased tax revenue is used by the local government to pay off loans or bonds and to finance further redevelopment activities. Technical Assistance: The provision of professional, planning, or technical advice, assistance, or training to facilitate or improve the adoption and/or implementation of a policy, procedure, or tool. Individuals and organizations providing technical assistance seek to transfer knowledge to the recipient (individual, organization, government entity) and build local capacity to address needs or solve problems. Trade Association: An association of individuals, manufacturers, businesses, or organizations involved in a particular trade or industry formed to further the collective interests of the members. Transfer of Development Rights: A program that allows for a transfer of some or all of the rights to develop a given parcel to another parcel. The purpose is to restrict the use of a specific property and provide a mechanism to compensate that owner for the restriction. TDR programs establish “sending areas” from which development rights are severed and “receiving areas” where these rights may be used to develop at a higher density than would otherwise be allowed by local zoning. Landowners in the sending area sell development rights to landowners in the receiving area, generally through the private market. When the development rights are sold on a parcel, a conservation easement is recorded and enforced by the local government. In some cases, the local government may establish a “TDR bank” to buy and sell development rights. Transferable Slip Rights: Transferable Slip Rights (TSRs), or Transferable Slip Credits, are similar in theory to Transferable Development Rights. TSRs are regulatory tools which allow property owners or developers to transfer their slip “rights” in the “sending” area to a “receiving” area—another shoreline property. (University of Florida Levin College of Law Conservation Clinic). User Fee: A charge assessed for the use of a particular item or facility. (Source: Black’s Law Dictionary). Visual Access: In the context of waterfront property, visual access is a limited right to an unobstructed view over the waters. At common law, visual access was an unlimited riparian right, but in many states a landowner’s right to visual access is subject to the rights of the public to pass along the shoreline. View protection ordinances are common in coastal and mountain areas and may also be included in local government’s land development code to protect views of historical or dominant structures and buildings. (University of Florida Levin College of Law Conservation Clinic). Visual Preference Survey: A technique that helps a community determine what attributes they value in overall community design. As the name implies, the technique is based on the development of one or more visual concepts of a proposed plan or project. The actual technique may rely on sketches, photographs, computer images, or similar techniques to provide the basis for participants to rate or assess each visual depiction. As a result, participants can express judgments and possibly reach a consensus about a visual design, architecture, site layout, landscape, and similar design features, which may be incorporated in the goals, objectives, design guidelines, enhancement/mitigation measures, or recommended standards for a study, plan, or project. Visual preference surveys can also be used at the beginning of a planning process to help participants identify what they value most about their community. In this application, a series of photographs are used, usually from the community itself but they can be from elsewhere, to help people identify what it is they like, and dislike, about various aspects of community design, including roads, buildings, and open space. (Source: Coastal and Waterfront Smart Growth). Water-Dependent Use Zoning: Provisions in a zoning ordinance that give priority to water-dependent uses. These provisions may take the form of single purpose zoning districts in which only water-dependent uses are permitted as principal uses or non-exclusive water-dependent use districts with criteria to prioritize water-dependent uses. They may also be general provisions that promote water-dependent use (through, for example, minimum percentage requirements or incentives) for properties suitable for water-dependent uses, by virtue of being adjacent navigable waters regardless of zoning district. (also referred to as maritime use zoning). Water-dependent Uses: While the definition of water-dependent use varies among states and locales, a water-dependent activity typically requires the use of, location on, or direct access to navigable waters or submerged lands to achieve its primary purpose, whether it is recreational, commercial, or industrial. Such water-dependent uses include fishing facilities, marinas, and ports, and are important to maintaining the viability of working waterfronts. (Source: NOAA Smart Growth for Coastal and Waterfront Communities). Waterfront Master Plan: A waterfront master plan is a comprehensive long-range plan for the waterfront intended to guide growth and development (Source: NOAA Smart Growth for Coastal & Waterfront Communities). Working Waterfront Conservancy: working waterfront advocates have proposed the formation of a private, nonprofit Working Waterfront Conservancy. This conservancy would exist as a state-recognized, not-for-profit corporation, exempt from taxes under Section 501(c)(3) of the Internal Revenue Code. This status is granted to charitable organizations that provide specified public benefits. Like a traditional land trust, a Working Waterfront Conservancy could purchase lands outright for holding, purchase the development rights to properties for holding, or accept donations of either land or restrictive easements. (Source: Accessing the Maine Coast). Working Waterfront Inventory: Comprehensive survey of water access sites, businesses, uses and/or parcels of land that are directly connected to the waterfront. WWF inventories are crucial tools to inform decision-making and policy development. Zoning: The legislative division of a region, esp. a municipality, into separate districts with different regulations within the districts for land use, building size, and the like. (Black’s Law Dictionary (9th Ed. 2009). Zoning Ordinance: A municipal ordinance that regulates the use to which land within various parts of the city may be put. (Black’s Law Dictionary (9th Ed. 2009)).